Richard Weber was born in the right country; he loves the cold. Gearing up and getting moving is something Richard does exceptionally well. 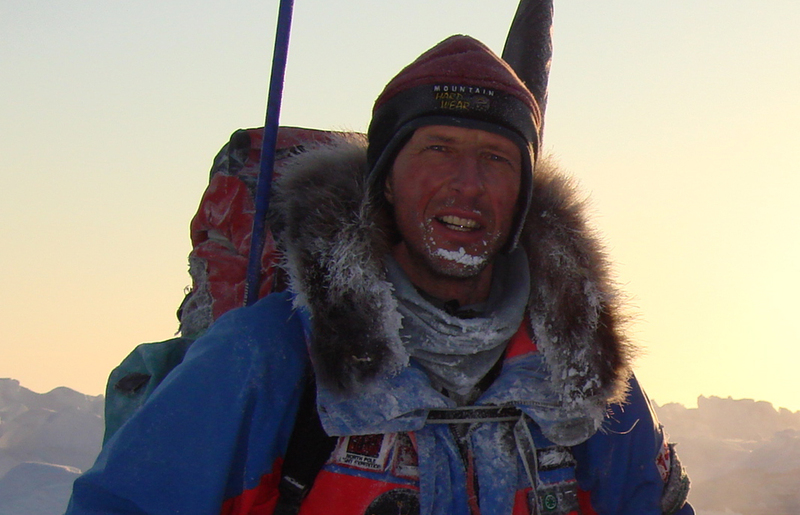 He was one of the first two Canadians to reach the North Pole on foot (with teammate Brent Boddy in 1986), the first person to reach the Pole from both sides of the Arctic Ocean (Canada and Russia), and holds the world records for number of treks to the Pole (seven to date) and fastest time from Nunavut’s Ellesmere Island to the North Pole (41 days). His adventures have taken him on more than 50 Arctic expeditions, as well as several journeys to the South Pole. In 2009, he completed the trek from Hercules Inlet, Antarctica, to the geographic South Pole in just under 34 days—a record at the time. He was accompanied by fellow Kickass Canadian Ray Zahab and Canuck Kevin Vallely as part of an impossible2Possible expedition. Jay Ankersmit, Director of the Ottawa High Performance Centre (OHPC), recommended Richard for this website. Having treated Richard, Jay is familiar with his incredible stories and was keen to have them shared with as many people as possible. “When it comes to Arctic adventures, there’s no greater storyteller than Richard,” says Jay. Born in Edmonton, Alberta, Richard’s family moved to Ottawa, Ontario when he was one year old. His father had been a successful climber and skier in Switzerland, and was keen to introduce his son to the wonders of winter sports. Richard was a natural skier. By six, he was cleaning up in his age category at the races. He made the national cross country ski team in 1977, and represented Canada in the 1977, 1979, 1982 and 1985 World Cross Country Ski Championships (now the FIS Nordic World Ski Championships). Over the course of his career, he picked up 20 national skiing titles, as well as the gold medal for biathlon in 1983. It was while on the national team that he met and fell in love with fellow skier Josée Auclair. Still competing on Canada’s behalf, the two headed to the University of Vermont on ski scholarships. Richard graduated with a degree in Mechanical Engineering in 1985, and Josée finished up soon after with a degree in Botany in 1986. That was also the year they wed. And the year of his first expedition. “An American colleague of my father’s was planning an expedition to the North Pole that would go through the Northwest Territories, and he was looking for a Canadian who could ski,” says Richard, referring to Arctic explorer and advocate Will Steger. Hans put his son in touch with Will, and Richard was quick to accept the offer when it came. The trek was a big deal. Not only did the Will Steger International Polar Expedition mark the first time Canadians reached the North Pole on foot, but it marked the first time a woman had completed the journey—American Ann Bancroft. 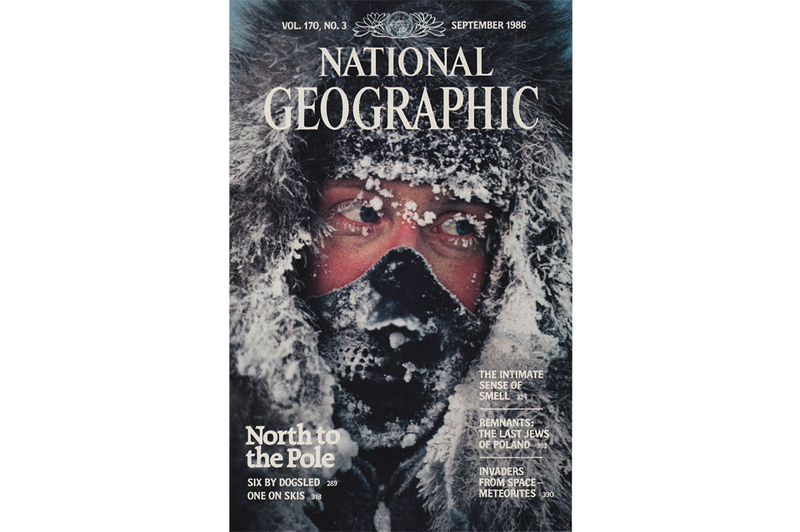 National Geographic ran a cover story on the expedition in its September 1986 issue. After successfully completing the mission, Richard was hooked on exploring. He’d had his sights on skiing for Canada in the 1988 Winter Olympic Games, but, he says, “I started doing expeditions and that was a lot more fun.” He promptly went on to achieve several more polar firsts. In 1988, he joined the Soviet-Canadian Polar Bridge Expedition and became the first person to reach the North Pole from both sides of the Arctic Ocean. At the end of the trek in 1989, be became the first to accurately stand at the Geographic North Pole (first GPS to register “90” north). In 1993, Richard and Josée organized and led the first commercial trek to the North Pole. In 1995, Richard and his travel companion, Dr. Mikhail (Misha) Malakhov, completed the first unsupported expedition to the North Pole and back—an achievement that has yet to be repeated. 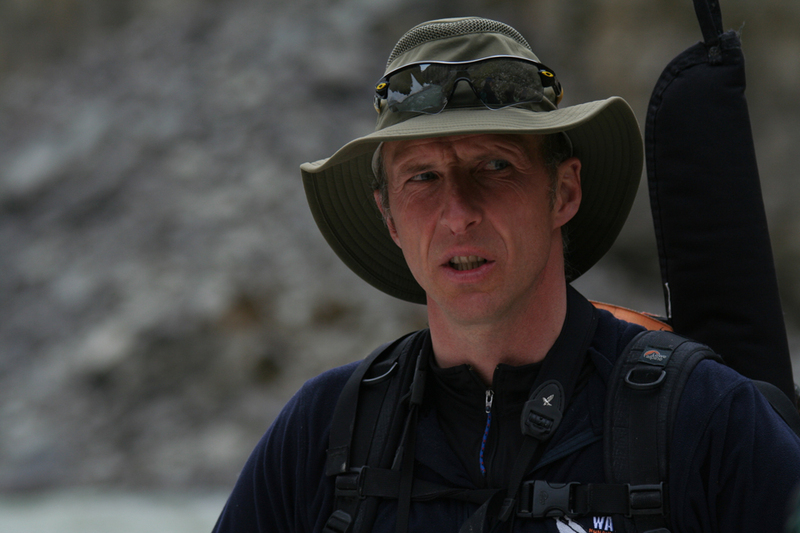 “That trek was no doubt my best memory from my expeditions,” says Richard. “It was an amazing expedition. Amazing teamwork, unbelievably tough.” For more on Richard and Misha’s account of the journey, pick up their book Polar Attack. In 2006, Richard and fellow explorer Conrad Dickinson became the first to trek to the North Pole using snowshoes exclusively. 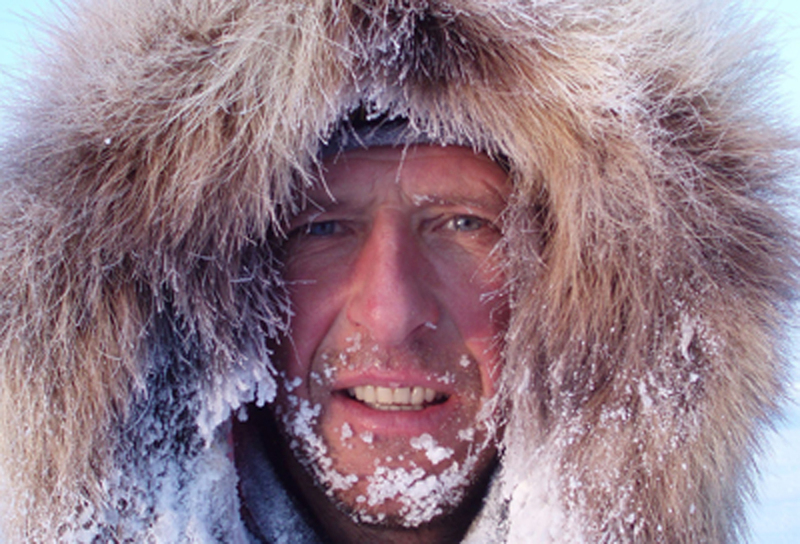 On Richard’s latest expedition to the North Pole in 2010, he was accompanied by his eldest son Tessum. With that journey, Tessum not only became the youngest person to complete the trek (he was 20 at the time), he also became part of a three-generation dynasty of North Pole adventurers; his Swiss grandfather flew to the Pole in 1968 as part of a scientific expedition. Up and running since 2000, Arctic Watch shares the landscape with a range of animals, including muskox, polar bears, Arctic foxes and birds, as well as thousands of beluga whales. The wilderness resort offers a safe, cozy place from which to discover the Arctic, and is just a 4.5 hour private charter flight from Yellowknife, N.W.T. In addition to Arctic Watch, Richard and his wife run Weber Arctic, the world’s top polar training, guiding and outfitting company. They sell custom polar products, including ski bindings, mukluks, wind suit jacket and pants, sleds and tents, and are well established as the best in the business when it comes to providing polar gear. In fact, the Canadian Forces recently tested out the Weber Polar bindings to see how they suited the soldiers during winter training. 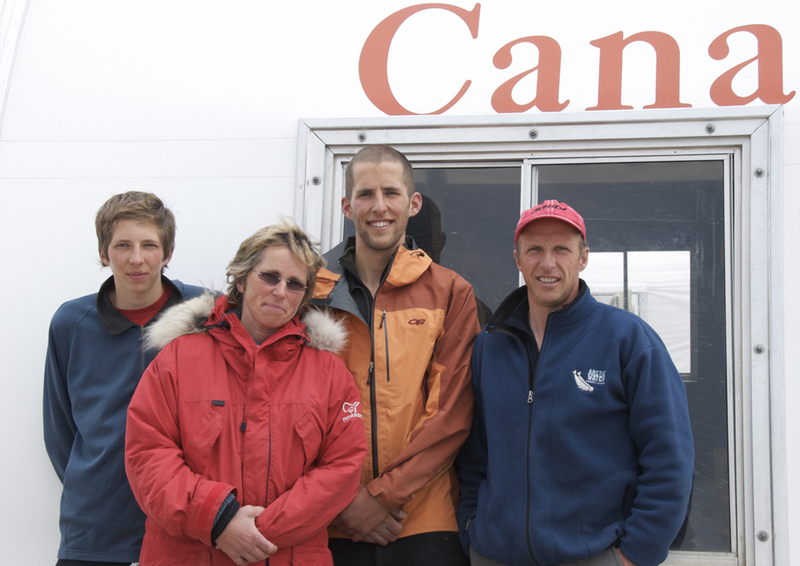 Richard and his family are proud to outfit some of the world’s top adventurers, and to expose tourists to the Arctic through their Nunavut resort. But their bigger-picture goal is to bring awareness to the effects of increased human activity in the Arctic, and to do everything they can to protect the beluga whales in the area. As a starting point, Arctic Watch Lodge was built and is operated with the environment kept top of mind. Their airstrip was designed to decrease impact on the surrounding environment, they maintain a system of trails to prevent land scarring, and sewage and garbage are handled in the most environmentally friendly way possible. They also keep visitors to a minimum so as not to disturb the local ecosystem. “The climate’s really changing quite dramatically,” he says. “It’s just plain warmer and dryer. The permafrost is receding. Two summers ago we had mosquitoes. There’s never been mosquitoes in that part of the Arctic, but we had mosquitoes.” Beyond the bugs, the Webers have spotted birds, such as sparrows and sandhill cranes, that aren’t native to the area, and seen the number of polar bears mushroom, which they attribute to diminished ice in the northwest passage on Somerset Island. The educational component of the initiative is set to launch in the summer of 2012. It will start with a two-week program for youth worldwide, although the focus will be on Canadian students, including Inuit youth from Nunavut. With regard to the scientific research, he expects that it will produce “real numbers” that will determine whether or not the whale population is diminishing. Ultimately, he hopes that the area will be declared a sanctuary for the whales. Richard’s incredible contributions in the Arctic and on both Poles have earned him a number of honours, including: the 1989 UNESCO Fair Play Award; 1989 and 1996 Russian Order of Friendship of Nations; 1992 Canadian Confederation Medal; 1993 Russian Medal for Personal Courage; and both the 1994 and 1996 Canadian Meritorious Service Medal, which made him the only person to be awarded the medal more than once. Between those impressive distinctions, and his large collection of athletic hardware, Richard is one well-decorated Canadian. But his focus is simpler, and more humble, than racking up medals. 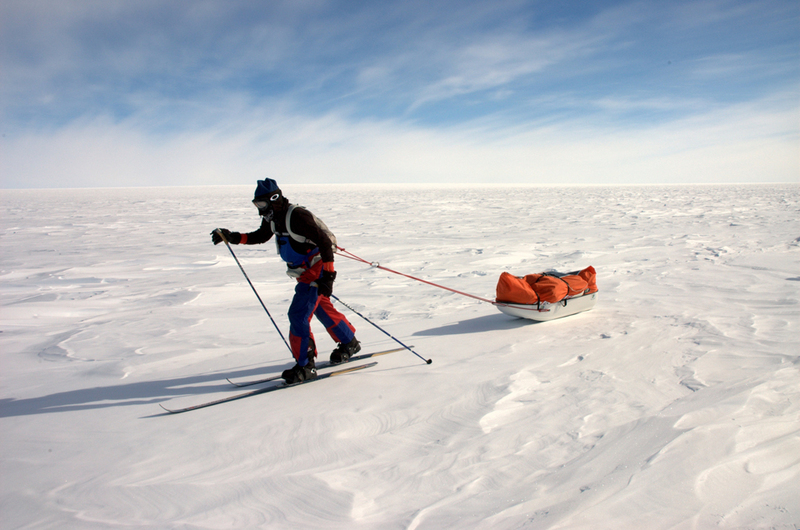 As far as expeditions go, next up is a trek to the South Pole in November 2011. He will lead four clients on a 35-day ski to the Pole and a 14-day kite ski back. As for Weber Arctic and Arctic Watch, his goals are to protect the whales, to safeguard Canada’s Arctic wilderness and to stay cold. These things go hand in hand. And they couldn’t be in more capable ones. To keep up with Richard’s adventures, ‘Like’ the Arctic Watch Facebook page and visit weberarctic.com. You can also check out his LinkedIn profile, or email richard@arcticwatch.ca.